Pretty Little Nest: Goodnight Moon! Today's post is inspired by the moon. Joseph is just at that age where any time he sees the moon he reaches up and points. So super cute! The moon is magical the way it can light up a night or be barely a sliver. We're a family of star gazers. I loved visits to the planetarium as a child and I hope Will and Joseph will enjoy it too one day. Upcoming is the annual Leonids meteor shower (more information here and here). Chris and I used to grab coffee and donuts after work in Jackson and head just a little bit out of town at the Rez to watch the show. Our spot got to be rather well known; the last year we could go, the sheriff's department was out directing traffic. Unfortunately, we haven't found a spot outside of Birmingham to watch. 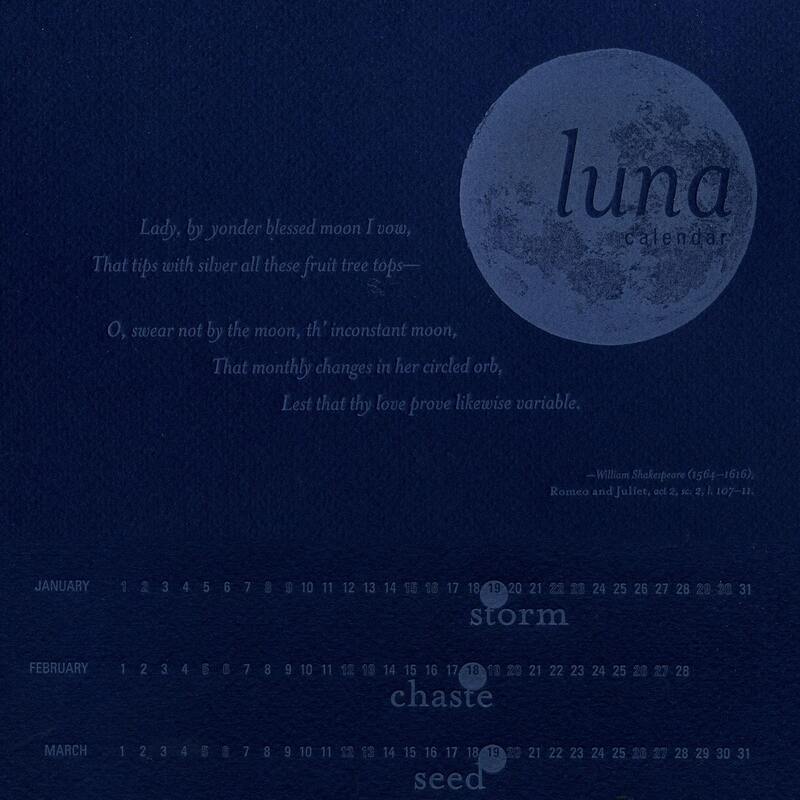 I adore this moon calendar for 2011 by Lizardpress. The names of the full moons are based on Celtic lore. I've never seen a calendar like this one; I love its uniqueness. On the Christmas wish list. Now where can I find a grassy knoll and a beautiful moon ... Laurent Laveder's series of pictures are just delightful. For a smile, check out all the poses. I find myself drawn to this image again and again.